Occurs in the coastal region of eastern Brazil from the Pernambuco State, south to Espírito Santo State. 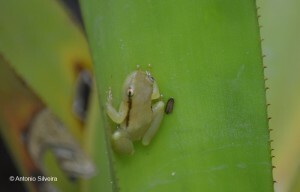 It lives in bromeliads in lowland moist forest and in coastal “Restinga” shrubland (including in quite open “Restinga”). 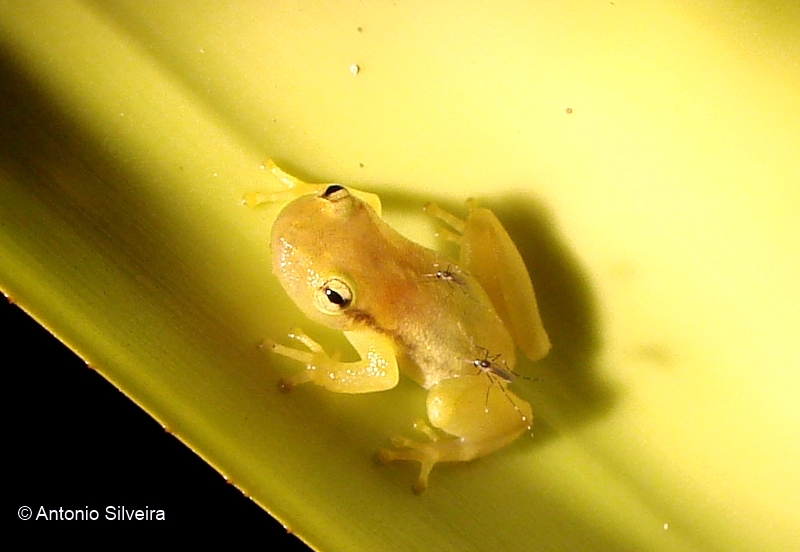 It breeds by larval development in bromeliads. The females lay a few eggs in each leaf axil and use more than one bromeliad during egg laying. (Débora Silvano, Gilda Andrade 2004. Phyllodytes luteolus. In: IUCN 2013. IUCN Red List of Threatened Species. Version 2013.1. <www.iucnredlist.org>. Downloaded on 17 October 2013.